HOPE – A growing culture of innovation is making inroads into multiple areas of need within the Hope Public Schools, as reflected in the district’s Report to the Public presented Monday night. Hope Schools Superintendent Bobby Hart said innovation in academics, professional development, parental involvement, and strategic thinking has been at the root of initiatives on student achievement, school culture/climate and discipline, district finance, parental involvement, personnel, communications and facilities. Two “wildly important goals” have been set for the district in 2018-2019, Hart said. Hart acknowledged the inclusiveness and the scope of the term “all,” noting that both goals must reflect that magnitude for any success to be achieved. He said the goals were the result of guiding principles which value tangible evidence of high expectations for students and high motivation of faculty and staff. Curriculum alignment up and down the student population is a key factor in new evidence of student success. Implementation of Eureka Math in K-12, the state RISE literacy initiative in grades K-6, Phonics First in K-4, and adaption of Engage NY to the Arkansas state standards in grades 7-12 concurrent with use of writing strategies across all subject areas at Hope High School and in grades 3-8 is beginning to show results. Classroom instruction in science follows state science standards, but also includes lab work to support instruction, Hart said. Using Professional Learning Communities to provide faculty support and assessment, the Hope Public Schools is better able to target and base specific instruction upon learning needs. The establishment of a curriculum team has worked to ensure horizontal/vertical curriculum alignment, and offers a source of information about progress for the district, campuses and stakeholders, he said. Enrollment totals some 2,248 students districtwide, Hart said; and, it reflects a demographic that is approximately 48 percent African-American, 32 percent Hispanic, and 18 percent Caucasian or other. He said an average of 3,288 meals are served to students each day free of charge, based upon an average of about 54 percent eligibility for federal funding. Innovations in security at all campuses have improved attendance reliability, Hart said. All campus buildings and the district administration offices are equipped with electronic entry security. Use of the system has helped to reduce class absences by regulating student movement and requiring a campus office visit to gain late entry. Facilities improvements with new roofing at Hope High School and expanded parking at Clinton Primary School have resolved specific problems at both campuses. Hart said interior remodeling of the administrative building has also updated both the interior look and functionality of those offices. The district projects an ending balance to its 2018-2019 budget of some $2.08 million from anticipated total revenues of $20.99 million against operating expenses and debt service requirements of some $18.91 million. Hart said the financial forecast for the district will be affected to some extent by changes in enrollment and an increased contribution to debt service funds. Innovations in transportation services are increasingly important for the district, Hart said, as the HPSD maintains a fleet of 37 school buses, operating 26 daily over 285 square miles of bus routes for about 1,500 students a day. “Our transportation department recently implemented two software programs, TransFinder and Synovia, to better route and maintain our buses,” he said. He said TransFinder is used to safely route daily bus activity, maintain accurate physical address information and assign students to specific buses and routes based upon Eschool data provided by parents. The Synovia program uses GPS technology along with driver-entered data to monitor maintenance needs for each bus in the fleet. The application provides notifications to parents when the bus enters their bus stop service area, and shows when their child’s bus has reached its scheduled destination, he said. Video technology added to each bus in the fleet also provides enhanced security and documentation information to ensure the safe transport of students daily, Hart said. Hart also offered congratulations, again, the 2017-2018 Hope Rotary Club Teachers of the Year HHS teacher/coach Kelly Muldrew and Hope Acaddmy of Public Service science teacher Carol Hendrix. Hart also reviewed Report to the Public information from each campus, noting how changes in state school assessment scoring has generally improved. He congratulated Hope High School for its student growth scoring which surpassed the state average. 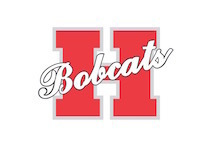 HHS has moved from its “F” designation last year to a “D” grade, he noted, largely on the effort of HHS administrators and faculty to change the climate and culture of academics on the campus. Yerger Middle School showed improvement in student growth and a 34 percent decline in disciplinary referrals along with improved attendance rates, Hart said. He said work needs to be done in academic growth, but YMS was above the state average. The Hope Academy of Public Service campus has added ancillary staff and participates in concurrent credit classes at the ninth grade level on the University of Arkansas – Hope campus. The anticipated dedication and opening of the Denny’s Place garden and outdoor classroom, along with zSpace virtual reality instruction technology are also new to the campus, he said. HAPS showed a slight decline in student growth this year by 3.48 points, dropping from an “A” score to a “B” but remaining 2.13 points above the state average. The Hope Collegiate and Professions Academy on the UAH campus has opened with a cohort of 23 tenth grade students, including 11 students who were not on the HAPS campus last year. Beryl Henry Elementary School has continued to take positive steps in academic growth, scoring a “C” grade; and, is continuing to demonstrate a positive culture and climate with 70 band students, 48 choir students, student responsibility clubs for boys and girls, a book club, communication and input technology, and sixth grade leadership team. Clinton Primary School has implemented an improvement initiative in literacy and math to include an emphasis on English Language Learners, show student growth on state assessments, and introduce literacy intervention in grades K-1. CPS improved from a “D” grade to a “C” in student growth on state assessment with a continued focus on literacy. Federal programs funding for the year is a mixed result, Hart said, with no anticipated impact upon the district, while Special Education funding is expected to be less than previously received. The HPSD currently serves 269 special needs students, who receive academic services through specialized Individual Education Plans. District communications and public relations will focus upon creating a consistently positive attitude within the public and the district’s students regarding the Hope Public Schools, Hart said. Unified campus newsletter publications in English and Spanish, along with more consistent internal communications on campus and district levels will be used to improve parental involvement and understanding of high expectations for students and parents, along with clear communication of explanatory information from the district and its campuses to parents. A “Bobcat Pride” initiative will continue on each campus, as well, he said. District technology services have improved with the use of Chromebooks and iPads for each student, access to high speed internet services, improved technology security, and classroom based LCD technology. Hart said a “voice over internet protocol” allows direct connection of parental phone calls to all district extensions. Pre-K programs on the Clinton Primary School campus currently have an enrollment of 140 children, Hart said. Space for a first-ever school based health clinic on the Hope High School campus is currently planned in the former family and consumer sciences “cottage,” Hart said. Bids for interior renovations are anticipated by Oct. 30. He said initial policies and procedures for clinic operations are near completion, and Centers for Disease Control requirements for vaccination of children are complete. Hart said the center staff has also been trained in the “trauma informed” concept, and a behavioral health curriculum is in planning. Hart said ACT Aspire data showed mixed results across the district, reflecting changes in testing subject matter.